The visit of the French President to Australia! In May 2018, our member local member in Sydney, Congress Rental Australia, supported the first-ever outdoor simultaneous interpretation event in Australia. 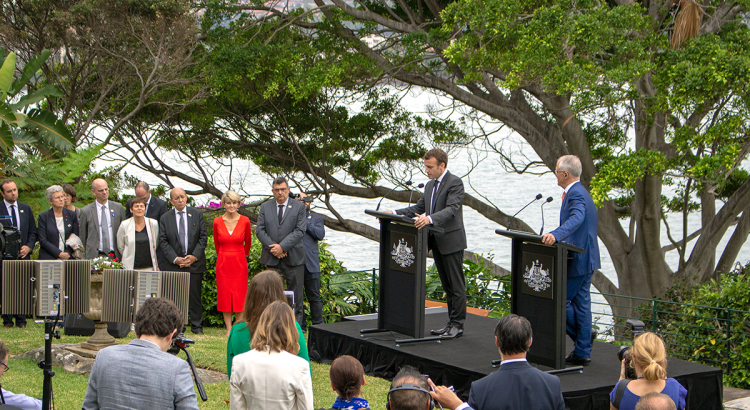 A joint press conference between Australian Prime Minister Malcom Turnbull and French President Emmanuel Macron was held at Kirribilli House overlooking Sydney Harbour. The conference was an important dialogue to discuss topical political issues such as developing closer ties between Australia and France, targeting cyber warfare and discussing future submarine deals between the two nations. Congress Rental Australia was selected to provide the simultaneous interpretation equipment for the event, supplying all media personnel with a both a French and English audio feed for broadcasting purposes. The team of our local member undertook intensive pre-planning prior to the event to account for the outdoor environment. 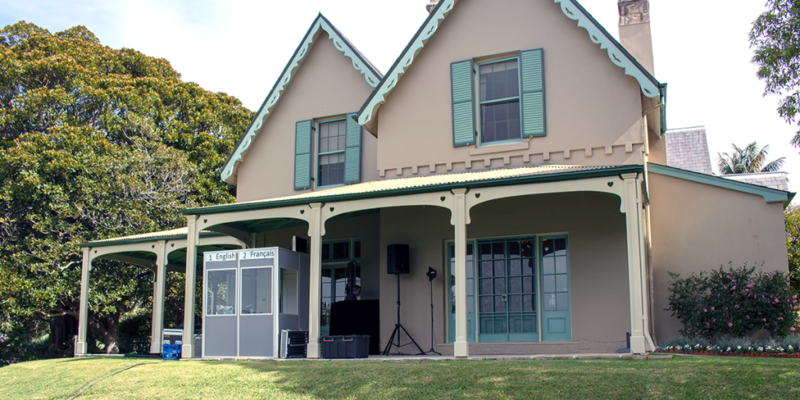 The location of the event also posed as a challenge for the interpretation equipment, as the conference took place on the sloped lawn in front of the heritage-listed Kirribilli House. 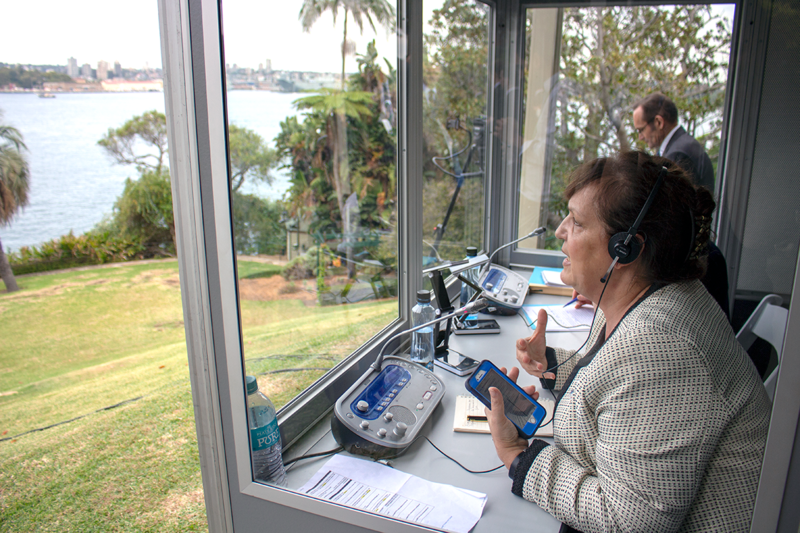 To ensure the interpreters had a direct line of sight, and to provide a stable, flat surface for the interpreter booth, the CR Australia team built the booth on the veranda out the front of Kirribilli House. The technical crew also performed vigorous testing hours before the event to guarantee that the infra-red signal from the Bosch Integrus System wouldn’t incur any interference from the sunlight above. To meet a special requirement, single earpieces were provided for the Australian and French political members to make sure their headphones were discrete. The event was a complete success, with each attendee able to understand the bi-lingual dialogue that occurred under the open-air. IPBES in Medellín of Colombia! The IndustriALL Global Union in Geneva! Copyright © 2018 by Congress Rental Network. All rights reserved.